To celebrate the 100th anniversary of the Representation of the People Act, which granted some women the right to vote in British parliamentary elections for the first time, Contemporary British Silversmiths invites two leading female silversmiths, Jane Short and Miriam Hanid to demonstrate their exceptional craft at the V&A. 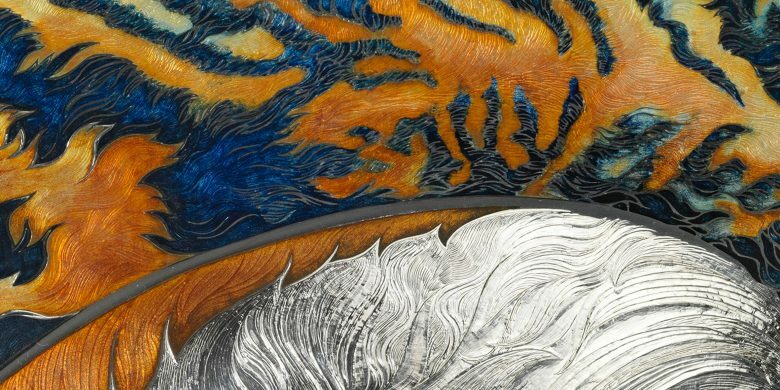 Jane Short, one of Britain’s leading artist enamellers, demonstrates hand engraving and how she prepares the surface of silver with intricate pattern and texture before applying enamel. Miriam Hanid is a leading artist silversmith, who employs the decorative techniques of chasing and engraving as a focal point in her work, adding form and light to her creations and their surfaces. She demonstrates hand engraving on a silver tumbler, giving the audience an insight into the life of a silversmith and the bespoke nature of her handcrafted commissions.